In 1978, Jersey Strand and Cable was founded by Alfred Pratt when he discovered a niche in the wire market seeing a need for small diameter strand and cable. He realized that he needed to improve upon existing equipment or develop new equipment that would be able to process what the customers demanded. Starting out with only a few custom built machines, the company has grown to over 200 production machines, many of which were conceived, built or modified by Jersey Strand and Cable. Al has continued to drive innovation and product development throughout the years. Al’s wife and children have also played important roles which has built a family atmosphere within the company. More recently the company is managed by Al and his son John Pratt. When engineers and designers are faced with the difficult task of finding just the right source for miniature cable or small diameter ferrous and non-ferrous wire rope to complete a new design project they can turn to us. Jersey Strand and Cable is continuously working on enhancing current products, making them better and last longer. With changes in technology Jersey Strand continues to modify processes to keep up with the market. In addition to manufacturing strand and cable, we also provide other services to our customers such as processing customer materials, respooling, cleaning, and heat treating of products. Here at Jersey Strand we are always looking to develop new capabilities to meet the needs of our current and new customers. With Jersey Strand’s proprietary process we are able to provide quality unique products enabling our customers to complete their projects with ease. 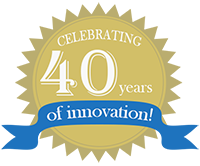 A special thanks and congratulations to all current and past employees who have guided us through this 40 year journey and that have helped make us successful, looking forward to many more years of success.